Comes in packs of 12! 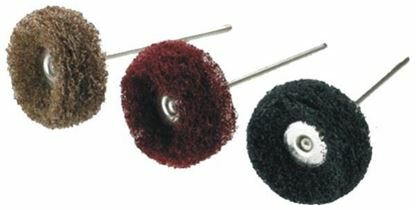 Heatless Original Wheels (grey) are made of a silicone carbide abrasive to make a unique, non-loading binder for rapid reduction through the final shaping of non-precious, semi-precious, precious alloys, porcelain, acrylic, denture teeth and natural dentition, without generating excessive heat. 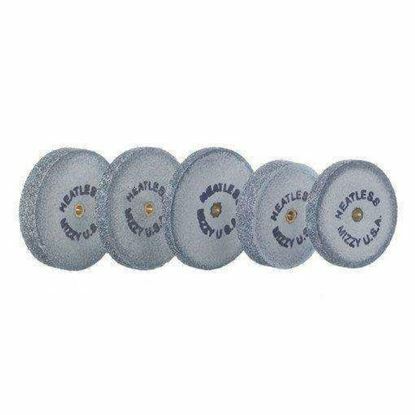 These wheels come in 15 different sizes and in regular grit. They also withstand a maximum of 20,000 rpm. The White Heatless Wheels are non-contaminating, aluminum oxide wheels that can be used on either porcelain or precious and semi-precious metal. They cut fast, run true, wear evenly, and won’t ever clog. They also come in 15 different sizes.